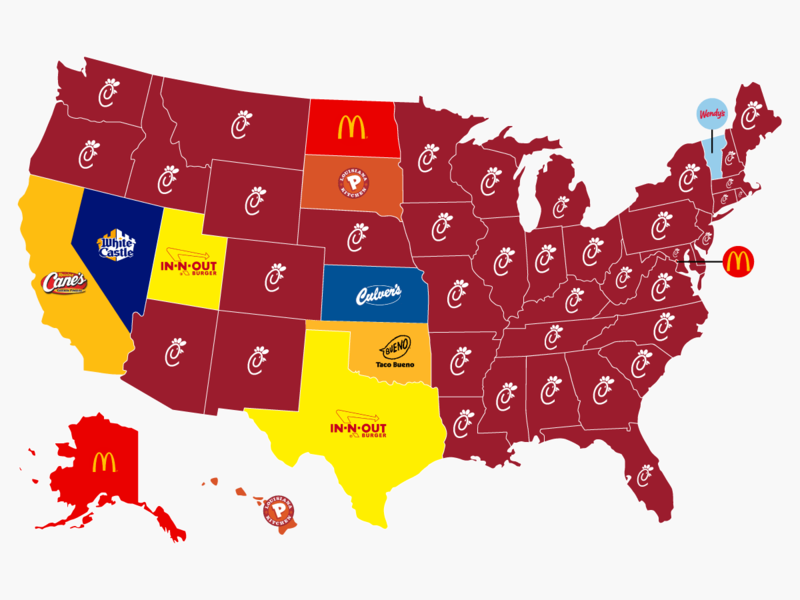 What is the most popular fast food chain in the USA? Well, the answer is different for every city and state, based on a research made by Foursquare, which counts the total amount of visits for each fast food restaurant, here you can view an image and a table of the most popular chains by states. Here is a small clue – it’s not McDonald’s. The most popular chain of fast-food in 24 of 51 states is not other than Chick-Fil-A, and the second is McDonald’s, which is the most visited in 17 states. What is your favorite fast food chain? Feel free to join the discussion in the comments.